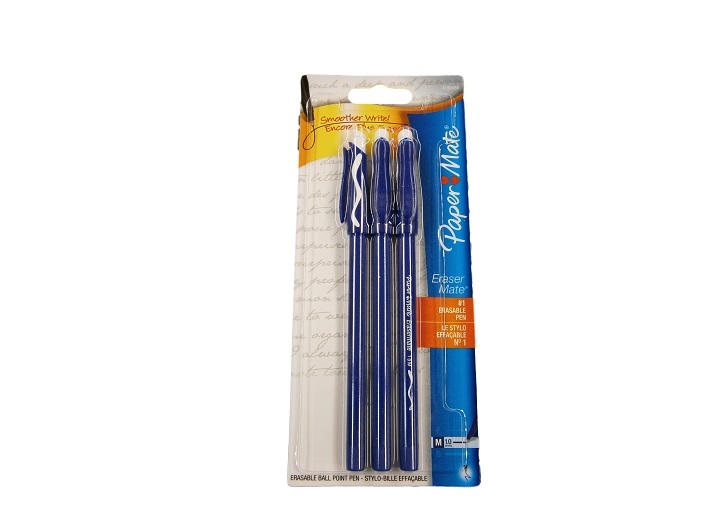 Eraser Mate is a medium point pen in blue with advanced erasable ink. The ink is pressurized to write at any angle. 3 Erasable pens per pack.